Madison Maxey focuses on soft, flexible circuitry (e-textiles) & computational design. LOOMIA Electronic Layer. Textile Can reach up to 200 Degrees F.
Madison Maxey is passionate about materials and creative technology. She focuses on bringing flexible, robust circuitry (e-textiles) to scale as Founder and Technical Lead at LOOMIA (previously The Crated). Throughout the course of her work at LOOMIA, she has developed e-textiles prototypes and workshops for companies like North Face, Google, PVH, Flextronics, Adidas and Corning. Maddy’s work has built the foundation for several pending patents and has lead to invitations to lecture at Columbia University, Parsons School of Design, NYU and University of Illinois Champaign Urbana. In addition to e-textiles, Maddy has performed computational design and physical computing work for the F.I.T Museum, Forbes 30 Under 30 Summit, CNBC’s Jump Jive and Thrive and Google Creative Lab. She has also held creative technology residences at the School of Visual Arts, Autodesk, and Pratt’s BF+DA where she won the BF+DA Technology Innovation Award. 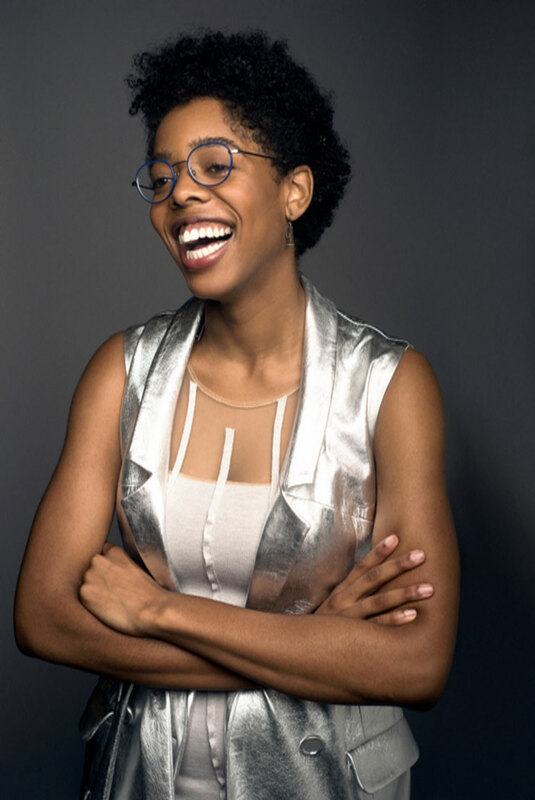 Forbes 30 under 30 Member, TED@NYC selected speaker, Thiel Fellow, Lord & Taylor Rose Award Recipient, Future of Storytelling Fellow, Project Diane Founder (a database of 28 black women who have raised over $1m in venture funding). Project Runway, Intel’s America’s Next Top Maker, Good Morning America, CBS’s Jump Jive and Thrive, NPR. Before LOOMIA, Maddy worked at General Assembly and interned at Autodesk, Tommy Hilfiger and NYLON Magazine. Maddy has spent 5 years researching the flexible and drapable circuitry layer that comprises LOOMIA’S core technology today. This circuitry layer is creasable and washable, bringing functionality to textiles in apparel and beyond. Similar to how one can pattern a PCB to carry out an incredible number of functions, LOOMIA’s electronic layer (the LEL) can be patterned to be an antenna, light up LEDS, sense Cap touch, and heat. Maddy researched and developed a formula and machine for direct-to-textile deposition of conductive ink onto textiles. The stretchable conductive ink could maintain low enough resistance to light a LED while being stretched. The ink could be sintered at 400 Degrees F with a household iron for additional conductivity on natural fibers. Maddy built a foldable tension plotter for direct deposition of conductive ink to textiles. Luis Rodriguez developed the second, rigid version of the plotter which could be used to print muslin cap touch circuits using Maddy’s conductive ink formula. During a 2nd Autodesk Residency, Maddy developed a proof of concept for a foldable, drapable, large surface area capacitive touch textile. The idea is a large user interface that can be folded and carried for creative work. For a client project under LOOMIA, Maddy and collaborator Ezgi Ucar developed a large surface area circuit for thermochromic color changing. The color changing is controlled with a switch within the garment. Nylon is created through a process called interfacial polymerization. Using this process, Maddy created nylon fibers where conductive particles are synthesized into Nylon during polymerization. These fibers could be spun to make a conductive thread. A POC developed during a workshop for Corning & Project 61 to explore applications of Corning versalume fiber optics. Along with collaborator Ezgi Ucar, Maddy ran bacterial tests for the idea of textiles killing germs with UVC light. During her residency at Autodesk, Maddy developed a formula for a flexible, soft and highly conductive synthetic leather material. This material has been used to make user interface cap touch pads for e-textile proof of concepts. While at Autodesk, Maddy researched file generation methods for 3D printing with SLA printers. Maddy combined this work with personal research on file generation for SLS printers into a paper focused on computational fabrication. An SMA actuating textile that could be controlled with a laptop computer, built in collaboration with Mari Kussman. This led to a research document and visit with the MIT Man Vehicle lab who developed similar actuation methods for their space suit. LOOMIA creates innovation in smart products and related data services that brings comfort, safety and confidence to the human experience. A B2B business that serves Fortune 500 brands and manufacturers, Madison Maxey founded LOOMIA and drives their innovation and technology development. LOOMIA was voted 2016 startup of the year by Wareable magazine. Maddy’s Computational design work uses code and computer programs to make visual patterns that can be printed onto textiles. In her work, she uses popular algorithms and customized datasets to make striking visuals. 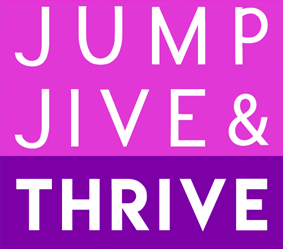 For CNBC’s Jump Jive and Thrive, a cancer benefit featuring celebrated gymnasts such as Nastia Luken, Maddy created a pattern using perlin noise. This pattern was then printed onto the gymnast t-shirts and auctioned off as part of the benefit. Epitrochoids are the name of the shape that make up spirographs. Using the equation for a spirograph, Maddy created design elements for Photochromia, a UV sensitive collection featured on outlets such as Fast Company, Wired & Cool Hunting. A custom print made for the FIT museum using the Perlin Noise Algorithm. This pattern was printed onto fabric to make a no-waste garment that was featured in FIT’s Black Fashion Designer’s Exhibit and highlighted by the New York Times. A computer vision algorithm that took the main colors from the cover of the FORBES 30 UNDER 30 issue and generated a pattern using sine and cosine waves. This pattern was presented on stage to show how digital fabrications can change design. This pattern drew from a dataset of conference attendees and a TinkerCad Motif to visualize a random walk. The graphic was printed onto a fabric and turned into a Julianna Bass dress that was worn by Soshana Berger of Ideo. This personal collection of prints uses Cellular Automata, Sinusoidal waves and other popular algorithms to make visual patterns.